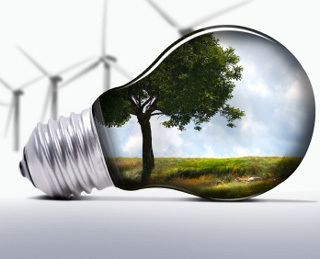 Many of today’s environmental challenges could be solved with clean technology, such as wind or solar power. If technologies with negative environmental impacts were replaced with more sustainable alternatives, the environmental burden of human activity could be reduced. The technical solutions exist, and their deployment is ultimately a question of our willingness to pay for a more sustainable society. In my Journal of Public Policy article, “When and how can advocacy groups promote new technologies?”, Sung Eun Kim and I investigate the effectiveness of advocacy in the promotion of new technologies, with a particular emphasis on environmental issues. We develop a model of when and how advocacy groups make a difference. Advocacy groups, such as environmental movements, can influence the spread of clean technologies in two ways. First, they can lobby governments for policy. As governments consider policies that promote clean technologies, such as subsidies, their incentive to act depends on the political costs and benefits of acting. Vocal and organized advocacy can make a government consider new policies in fear of losing the political support of the powerful advocacy group. Second, activists can try to shape the behavior of end users of technology. For example, they can campaign on the negative environmental effects that firms produce by relying on fossil fuels. Such advocacy can change the incentives of the end users. Both types of advocacy can be effective. Environmental movements have not only campaigned tirelessly to promote renewable energy policy, but also engaged firms, municipalities, and co-operatives to invest in renewables. In his book Winds of Change, Ion Bogdan Vasi charts the history of environmental advocacy for wind power around the world. Our theory suggests that the two types of advocacy are complementary. To see this, consider first an advocacy group that only campaigns to change the behavior of end users. Since the government anticipates that there will be campaigning, it understands that subsidies are not needed to promote a new technology. If the government anticipates vigorous campaigning, it need not offer generous subsidies to end users. As the advocacy group’s strength grows, the government invests less in promoting the new technology. As a result, the advocacy group’s growing strength has little effect on outcomes. This paralysis can be avoided, however, if the advocacy group can also lobby the government. In this case, the advocacy group can push the government to offer subsidies, while also preparing to campaign toward the end users. This dual campaigning strategy ensures generous subsidies, while also directly promoting the use of the clean technology among end users. Higher subsidies and enhanced awareness among end users allow the new, clean technology to prosper and thrive. Our case studies show that, in the case of wind power, the dual strategy of lobbying the government and end users is found in the most successful countries. Denmark, Germany, and Spain have all achieved high levels of wind electricity generation. In all three countries, the environmental movement was effective in lobbying both the government and the end users. Our theory can explain why this strategy was so important. Our results are useful for environmental advocacy groups. Effective advocacy for clean technology requires a dual strategy of targeting both policymakers and possible users in the society. Instead of trying to choose between lobbying and grassroots mobilization, for example, environmental groups should use both strategies in a coordinated fashion.